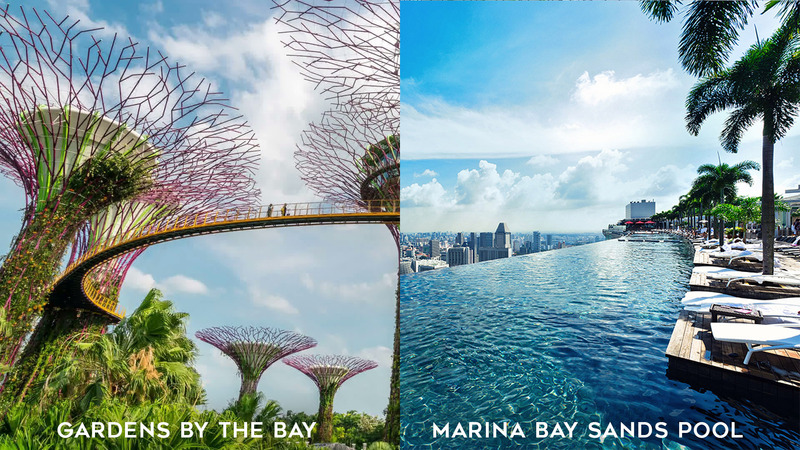 When you think of Singapore, a few things probably come to mind: the movie Crazy Rich Asians, the famous Marina Bay Sands pool, or the futuristic Gardens by the Bay. Many seasoned travelers write off Singapore due to its very modern, “shopping mall” feel. However, outside of the Marina Bay is vibrant world with countless gastronomic and authentic cultural experiences that are definitely worth a visit. 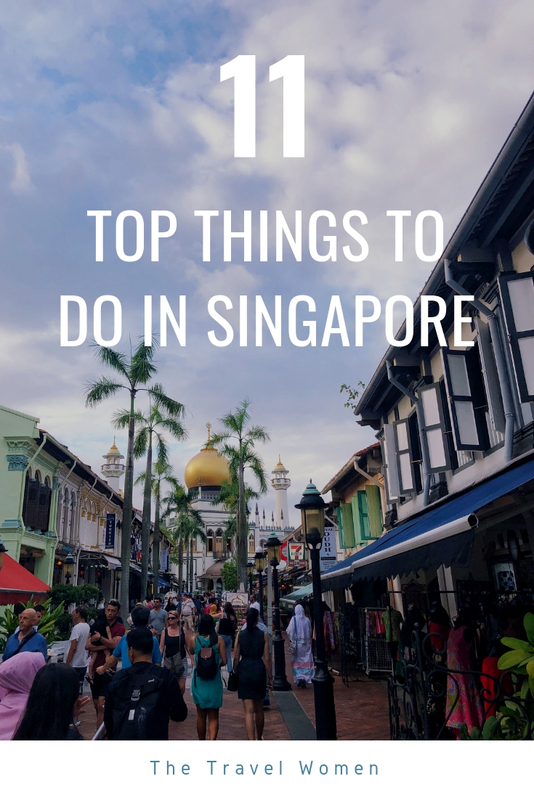 Below are a few of my favorite things to do in Singapore that you should include in your next trip! 1. Chinatown: Singapore fact: The majority of Singaporeans are of Chinese descent; you can see the strong cultural ties all across the country with multilingual signs in both English and Chinese. 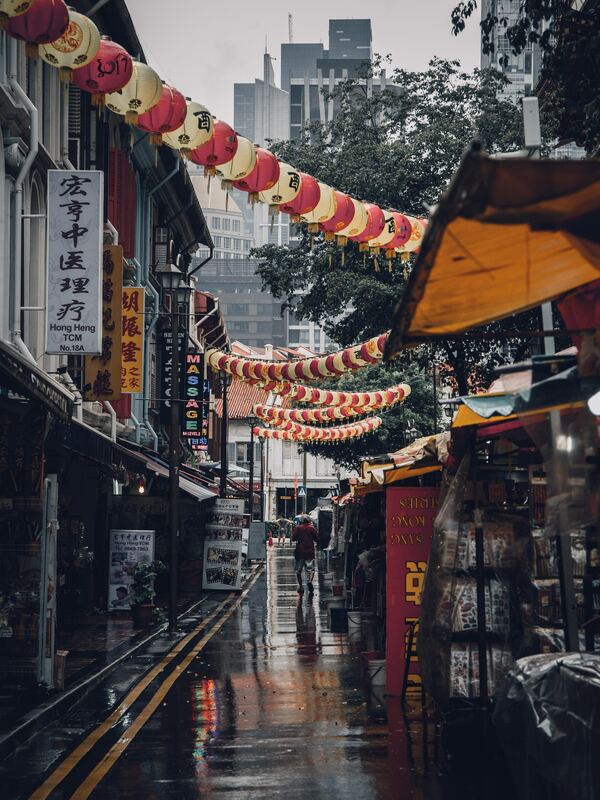 Singapore’s Chinatown has a strong historical tie into the local Singapore history, with numerous enclaves that are home to a variety of Chinese cultures, from Cantonese, Hokkien, to Teochew. Venture down to Smith Street for the best street markets filled to the brim with souvenirs and street food. End the day with a visit to the Buddha Tooth Relic Temple and Museum to see and pay reverence to the Ten Thousand Buddha Pagoda located on the rooftop. 2. 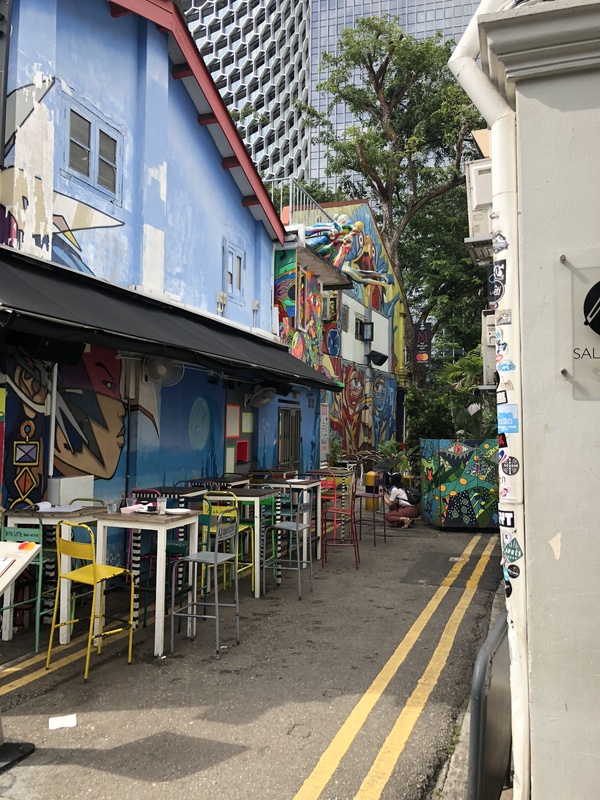 Haji Lane: Haji Lane is considered to be one of Singapore’s first “hipster” blocks. 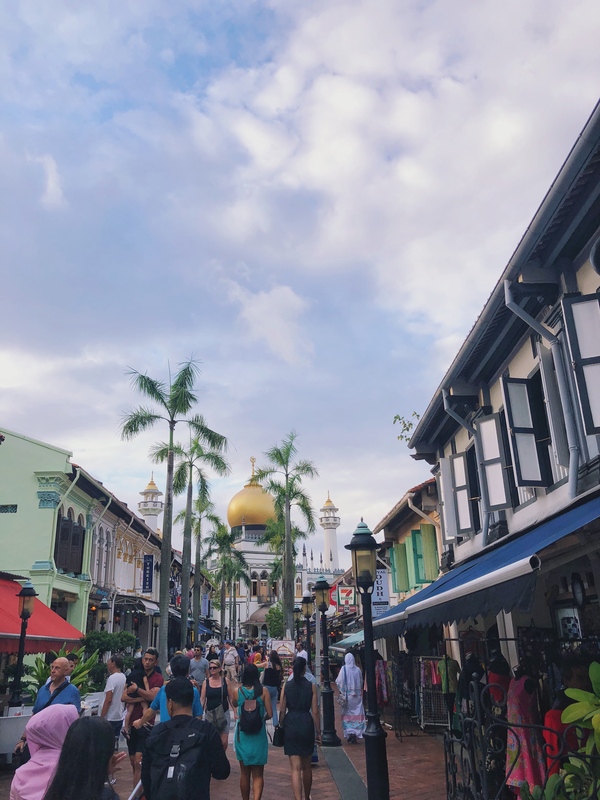 Located in the Kampong Glam neighborhood, this lane is actually a series of narrow connected streets. With its broad selection of graffiti art, outdoor cafés, and boutiques, visitors often note that they feel transported to the Montmartre neighborhood of Paris. It’s easy so spend a full day here: Start the day with a latte and a furry friend at Meomi Cat Cafe, afterwards head to Moodswings Vintage and see unique vintage styles from Asia and Europe. End the day with a cocktail and live music at Blu Jaz Café, one of Haji Lane’s most popular nighttime spots for the past 12 years. 3. Alter Ego for brunch: Located near the Marina Bay waterfront, Alter Ego is the perfect “East-meets-West” fusion restaurant. 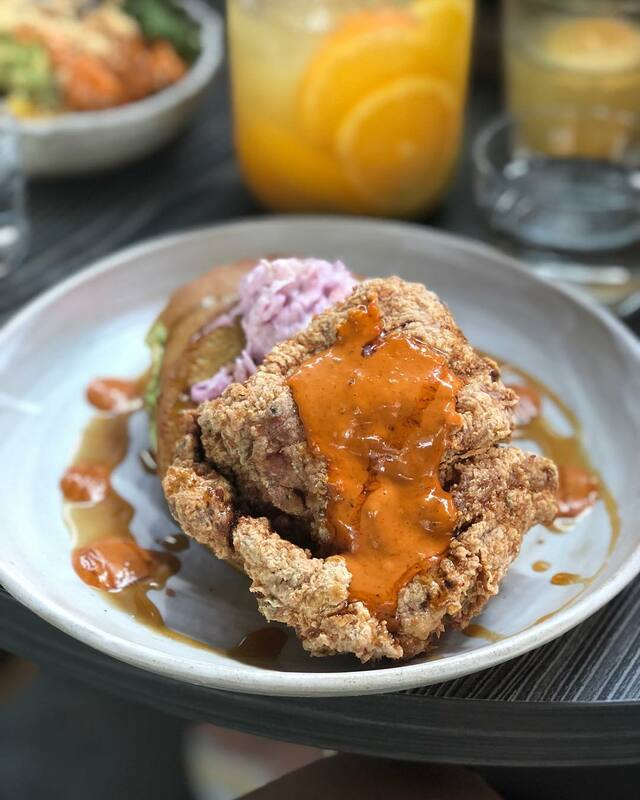 My favorite dish is the “Slappy Chicken & Cakes,” with southern fried chicken thigh, pandan pancakes, samal mayo, purple slaw, and homemade gula melaka syrup. It’s perfect with a glass of their Citrus White Sangria (make sure to ask for extra peach and lemon slices!). Not a big sangria fan? Their large (and affordable) beer selection is distinct – many Singaporean bars have very limited selection of beer, usually with very high prices. I recommend the Archipelago Singapore Blonde Ale; with its slightly sweet citrus notes it provides a refreshing escape from the hot Singapore air. 4. Smoke & Mirrors: Hidden in the rooftop of The National Gallery Singapore, Smoke & Mirrors is a cocktail-lovers dream. The drink menu itself is a work of art, featuring intricate and imaginative concoctions. 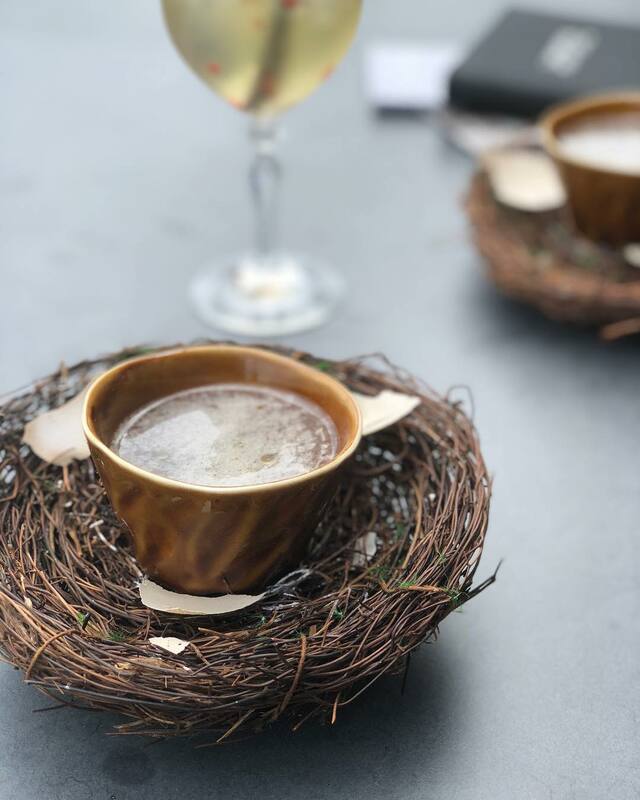 Try the “Mighty Duck” cocktail, which contains jackfruit rum, five-spiced honey and edible egg shells, while soaking in the panoramic views of the Marina Bay. 5. 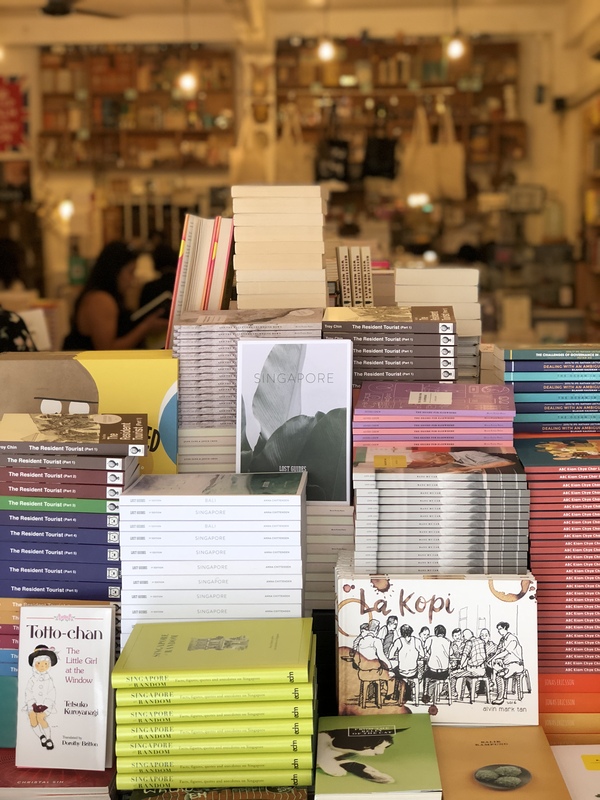 Books Actually: Located in the quiet and up-and-coming neighborhood of Tiong Bahru, Books Actually is an independent bookstore specializing in mostly Asian fiction and literature. It was an eye-opening experience to see a bookstore specializing in non-Western authors. Not sure what to buy? I recommend purchasing a tote bag and one of their many Singapore travel guides as useful and memorable souvenirs. Afterwards head down the street to PS.Cafe Petit to enjoy your new book over a cup of hot tea and one of their many sandwiches (the truffle cheese mushroom panini is a great choice!). 6. Sultan Mosque: The Sultan Mosque is in my opinion, one of the most impressive historical buildings in all of Singapore. 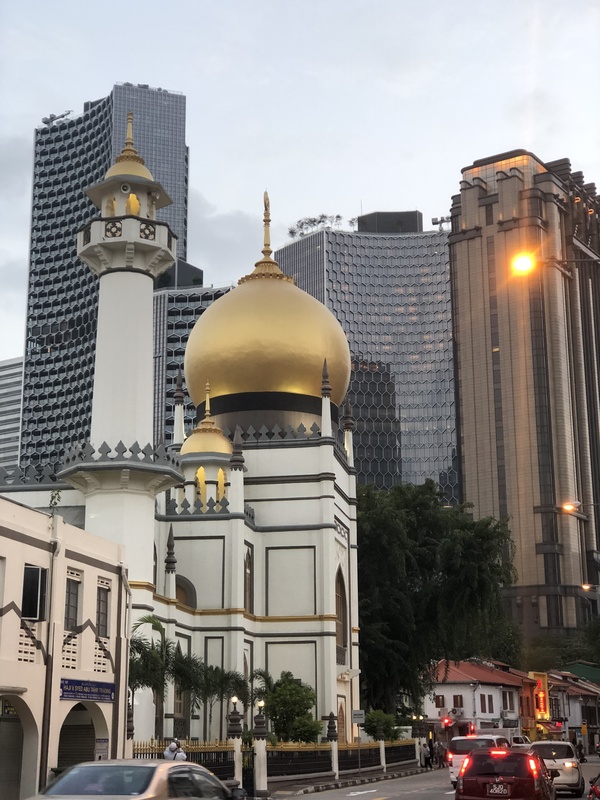 It’s located in the heart of the Kampong Glam neighborhood, known for its large Muslim community. Visitors are highly welcomed – the mosque has multilingual docents who are fluent in Malay, English, Chinese, Japanese, French and German! 7. Baghdad Street: After a visit to the Sultan Mosque, head straight down to Baghdad Street to purchase perfumes, oils, and local crafts. Getting a little hungry? There is a diverse selection of Lebanese, Turkish, Indian, and Malay restaurants to choose from. 8. 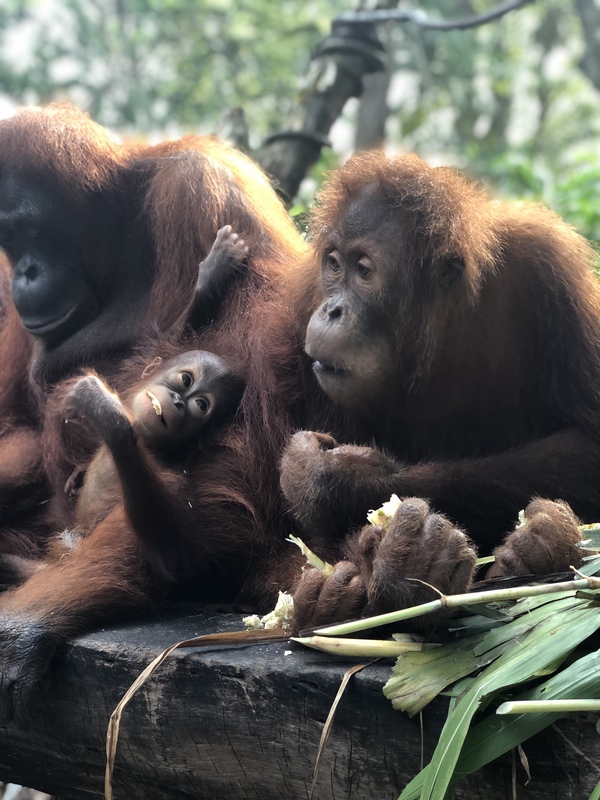 Breakfast with the Orangutans at the Singapore Zoo: The Singapore Zoo is one of the most unique attractions in Singapore. The zoo is known for its award-winning conservation initiatives and interactive visitor excursions, from its Night Safari to Animal Feeding Tour. One unforgettable excursion is their Jungle Breakfast with the Wildlife. Enjoy a large buffet selection of Asian and Western dishes and have the chance to see an orangutan family up close (but no touching!). The animals’ comfort and trust with their human caretakers are evident and left all the visitors’ hearts touched. 9. 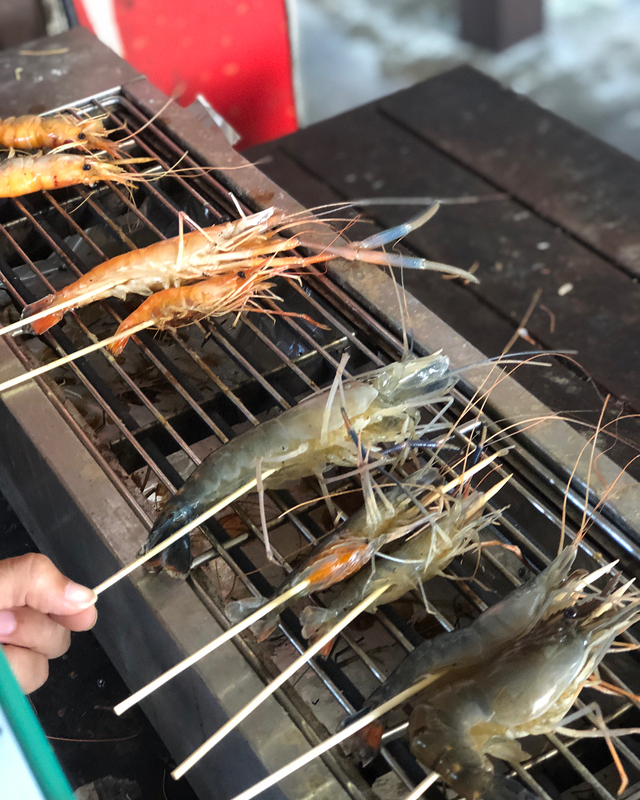 Prawning at ORTO: Escape the city for a trip to ORTO, Singapore’s first 24 hour multi-recreational park. A fun way to spend the afternoon is prawning at one of their ten ponds, with the option of grilling your catch right after! Not a prawning fan? There’s also fishing, go-karting, paintball, and a trampoline park. End the day of activities with dinner and drinks at one of their ten dining locations! 10. Dining at The Banana Leaf Apolo in Little India: The Banana Leaf Apolo has been serving traditional North and South Indian food on banana leaves to Singaporeans and visitors since 1974. 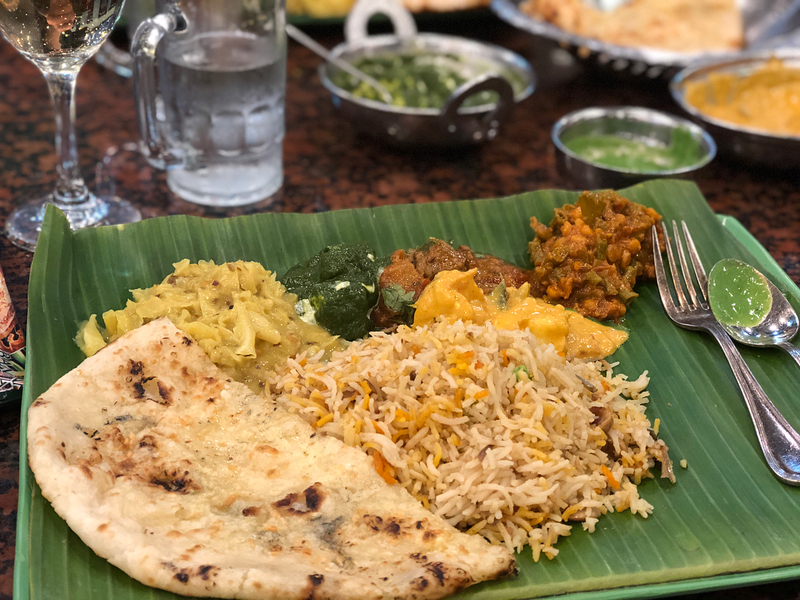 The restaurant claims that the banana leaf “adds to the taste and flavor” – and which might be true since each dish I tried were absolutely delightful. An order of fresh sweet lassi is needed to cool down from the mouth-numbing spices! 11. 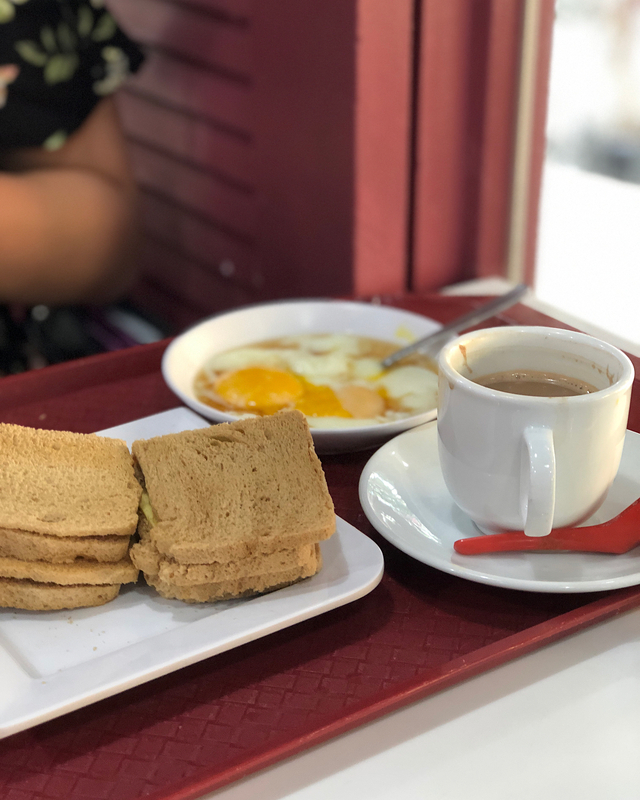 Breakfast at Ya Kun Kaya Toast: Ya Kun Kaya Toast is a chain restaurant found all over Singapore, and home to kaya toast, a traditional Singaporean breakfast consisting of toast with coconut jam (called “kaya”) topped with sugar, coconut milk, butter and eggs. The toast is sometimes dipped in a plate of runny eggs with a dash of soy sauce for a fun sweet-salty treat. 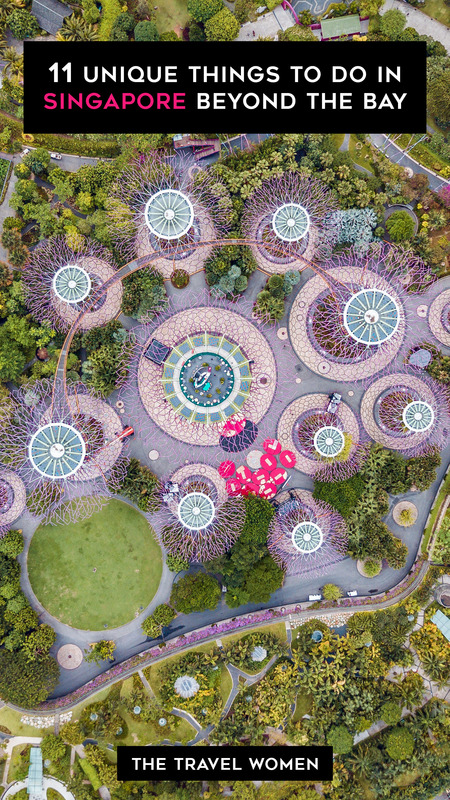 Have you been to Singapore, or plan to visit soon? Comment below! Written by Jhanay Williams, follow her on Instagram, Twitter and on braidsandjade.com.